Incredible find! 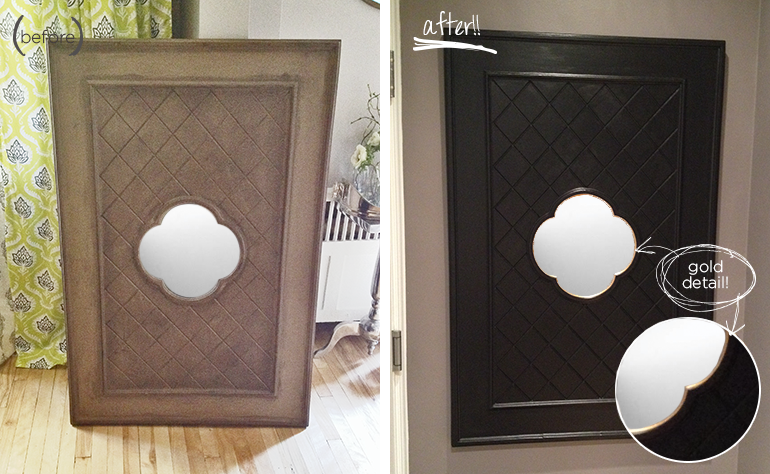 An old mirror with great character is transformed to look like a high end splurge. 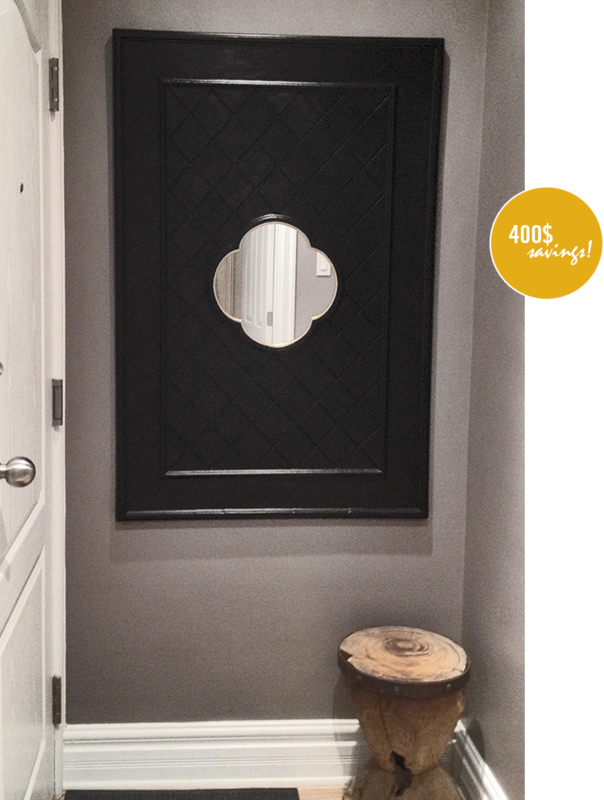 Incredible what a little black paint can do…The mirror, originally purchased for $50, now looks like a high-end one that retails for 5x the price!